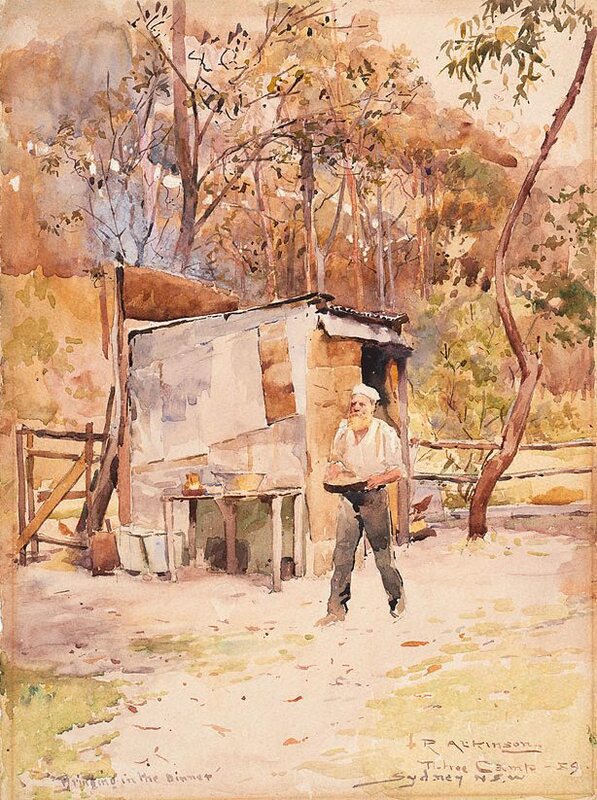 This watercolour gives a rare glimpse of daily life at one of the artists' camps on Sydney Harbour in the 1880s. The figure in the watercolour may be 'Old Ben', a retired sea captain who was the camp's caretaker and cook. Old Ben was also painted by a number of other artists, including AJ Daplyn and Julian Ashton. A small portrait study in watercolour is on the verso. Signed and dated l.r., brown watercolour "R. Atkinson ... 89/ ...".